There are some amazing perks! 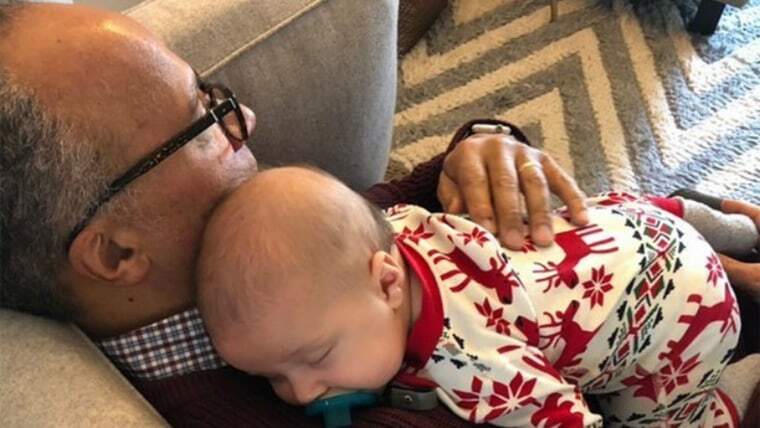 It’s been four months since Lester Holt, anchor of “NBC’s Nightly News”and “Dateline,” became a grandparent — and he’s loved every minute of it. On “The Tonight Show Starring Jimmy Fallon,” Holt opened up about what it’s been like to see his son WNBC anchor Stefan Holt and wife Morgan raise their newborn, Henry. “It is such a great feeling,” Lester told Fallon. He wasn’t shy about admitting how nice it was to enjoy the biggest perk of being a grandparent — getting to love the new bundle of joy without the sleepless nights almost every new parent experiences. Stefan and Morgan welcomed their son in the early hours of Sept. 6, 2017. Lester shared photos on Twitter soon after as he and his wife met little Henry.